When in 2007 Romania joined the European Union (EU), it was one of the poorest and most corrupt nations in the union. Ten years later, Romania demonstrates the fastest economic growth in the EU (in 2016 GDP grew by 4.8 %), it is considered as the next tech-startup hub country, and its digital infrastructure makes it an attractive location for tech investments. Despite the growth in recent years, Romania is the second-worst in the EU for the risk of poverty and social exclusion. And while the government struggles to meet its budget collection target, corruption and mistrust in government impede economic development. Romania ranked 57th among 176 countries in the Corruption Perceptions Index in 2016. Extensive corruption in all levels of public office has lead to the creation of the second largest informal economy in the EU and has increased tax evasion involving public officials. 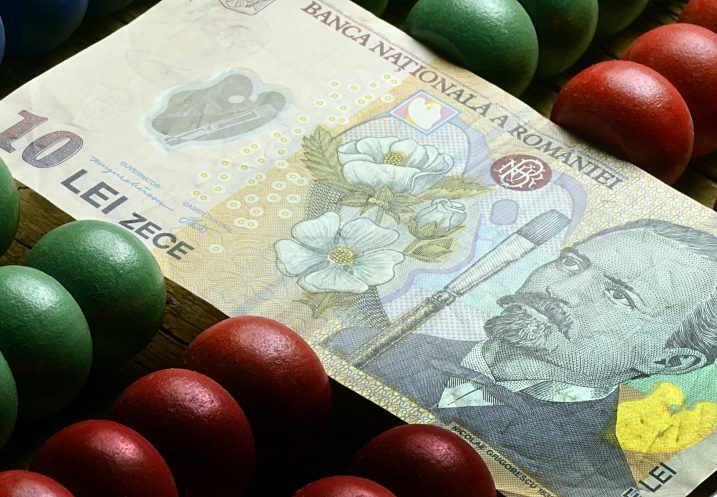 Romania loses about $28 million due to tax evasion and according to a recent GFI study approximately $2.5 billion in illicit funds are moved out of the country annually. Since Laura Codruța Kovesi joined Romania’s National Anticorruption Directorate (DNA) as a chief in 2013, the agency has been doing some impressive work in the fight against corruption. The DNA convicted about 2,000 officials for abuse of power, including Adrian Nastase, a former prime minister, five other ministers, 19 parliament members, and five senators. However, the repetition of similar offences indicates that preventive attempts have not been effective. The Romanian IT sector has been involved in several scandals with key foreign and national players, as well as high-level officials. HP Romania and company distributing Microsoft licenses engaged in the sale of overpriced products and services to the Romanian government. Several businessmen and government officials, including a former communications minister, were sentenced by the Romanian court for money laundering, bribery and influence peddling involving the lease of overpriced Microsoft licences to the government. The court ordered the seizure of EUR 11 billion ($13 billion) from four men. Another IT giant, HP Romania, was prosecuted by the DNA for a EUR 16.8 million contract involving overpriced IT services for the National Health Insurance House (CNAS). Former CNAS heads Vasile Ciurchea and Irinel Popescu are accused of abuse of power, while the Romanian branch of the HP has been investigated under complicity to abuse of power allegations. Meanwhile local IT companies Siveco and UTI Group have been investigated for money laundering and tax evasion. The president and founder of Siveco, Irina Socol, and other executives were convicted in a complex tax evasion scheme involving 50 companies and EUR 10 million. The UTI Group is also being investigated for tax evasion and money laundering of EUR 4.6 million. Many in Romania complain about unnecessary bureaucracy and corrupt practices at the tax administration. Two senior officials of Romania’s tax agency and the Ministry of Finance have been accused of taking part in a tax evasion scam involving major alcohol producers in the country. Murfatlar and eight other alcohol companies fraudulently claimed tax deductions costing the government around $142 million. So Romania’s fight against corruption is not a success story, at least not at the moment. Earlier this year, the largest anti-corruption protests in decades took place after the government issued legislation that would decriminalize low-level corruption. Romania’s leaders need to work on regaining people’s trust in the government and other public institutions. The Government and Parliament of Romania should ensure effective implementation of the new National Anti-Corruption Strategy (NAS). Some important actions foreseen under the NAS include adoption of integrity plans and following the steps to improve transparency in decision making, budget allocation and access to information by all institutions. To prevent conflict of interest, fraud and corruption in public procurement internal controls should be strengthened by providing more training to judges in this area.